While more than two months remain between now and Week 1 of the NFL regular season, there are always fabricated storylines for the rabid football fans to discuss. This week’s hot topic came in the form of the NFL Network’s ranking of the league’s top 100 players of 2013. Perusing the list, there are a few things that stand out: the appearance of a retired Brian Urlacher (ranked 90th by the fans) and an appearance by former Patriots tight end Aaron Hernandez (voted 70th), who may never see an NFL field, much less a day of non-incarcerated bliss, for the rest of his life. While the number of players from the NFC North in the top 100 players (12) is on pace with the other seven divisions, the division is undeniably top-heavy, with three players landing in the top six. The Bears have the most players in the top 100 of the four teams in the division with five, and have two additional players that cracked the fans’ list but not the NFL Network’s. The top-ranked Bear falls within the top 30 players in the league, but is only the seventh-ranked wide receiver on the board, after Calvin Johnson, Andre Johnson, A.J. Green, Julio Jones, Larry Fitzgerald and Reggie Wayne. You could certainly make a case that Marshall should be higher than one or two guys in that group, especially coming off a season where he tallied a career-best 118 receptions and 1,508 yards. Tim Jennings, left, and Charles Tillman form one of the top cornerback duos in the NFL. The second-highest cornerback on the board (after Arizona’s Patrick Peterson) and the ninth-highest defensive player in the rankings, “Peanut” likely vaulted up the list after a breakout 2012. Not only was he named to the Pro Bowl, but he earned first-team All-Pro honors and led the league with 10 fumbles forced. With 11 full seasons under his belt, Peppers is still one of the top pass rushers in the league. He has put up double-digit sack totals in eight of his 11 seasons in the NFL, and continued that trend in 2012 with 11.5. Jennings pairs with Tillman to form one of (if not the) best cornerback tandems in the league. While Tillman may get a bit more of the fanfare, Jennings is a remarkable defensive player in his own right and began to earn the individual accolades for himself in 2012 as he was named to the Pro-Bowl and earned second-team All-Pro honors. Briggs has played his entire career with the team that drafted him, and rewarded Chicago with seven consecutive Pro Bowl appearances from 2005 through 2011. He was named to the 2012 Pro Bowl, but sat out with an ankle injury. In the storied history of the Bears, Briggs ranks second all-time in tackles with 848, trailing only Brian Urlacher. Running back Matt Forte was named the 75th best player by the fans, while retired linebacker Urlacher was named 90th. While the Lions have had plenty of high draft picks turn out to be busts over the years, the players that represent Detroit on the top 100 list are a former No. 1 overall selection and two No. 2 picks from recent drafts that have more than panned out. 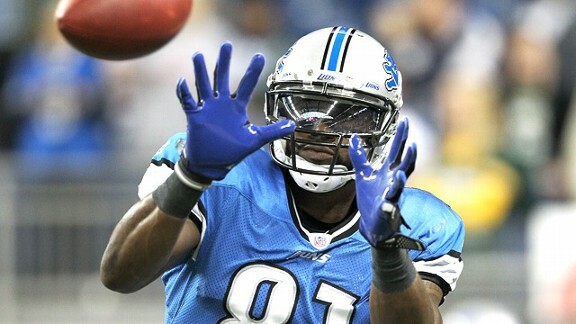 Calvin Johnson is the top wide receiver and the third-highest rated player overall on the NFL Network’s Top 100 list. At just 27, Megatron is not only one of the most physically gifted athletes in the entire league, but he’s a player who is fully living up to the hype. While he scored just five touchdowns, he finished 2012 with an impressive 122 catches and 1,964 yards receiving, tops in the league in both categories. While the sheer numbers may not do him justice, Suh is undoubtedly one of the most feared defensive players in the league. He’s the second-ranked defensive tackle on the list, behind only the Patriots’ Vince Wilfork, and he’s the sixth-rated defensive lineman overall. While not many people will argue that Stafford has cracked the top tier of quarterbacks in the league, the No. 1 overall pick from the 2009 NFL Draft has helped the Lions’ offense become one of the best in the league in his four seasons at the helm. The 11th quarterback on the list led the league in both completions and attempts in 2012, a reason why it’s no surprise that he approached 5,000 yards once again. Recent acquisition Reggie Bush was voted the 93rd-best player by the fans. Had this list been compiled after the Packers’ Super Bowl season in 2010 or Rodgers’ MVP season in 2011, it’s conceivable that Rodgers could have been at the very least the top quarterback on the list, if not the first player overall. Ranking behind both Peyton Manning and Tom Brady in the NFL Network’s list, Rodgers led the league in quarterback rating (108.0) for the second straight season in 2012. Clay Matthews has averaged over 10 sacks per season in his four short years in the NFL. At times, Matthews can be the most dominating defensive force in the league, and the numbers he’s put up in his four seasons as a pro show it. In his All-Pro and Super Bowl-winning 2010 season, as well as the 2012 season, Matthews ranked inside the top-five sack totals in the league, with 13.5 and 13.0 respectively. With an upgraded defensive line in 2013, Matthews could equal or even surpass those totals in. Even though the Packers released Woodson back in February, he helped to cement his Hall of Fame candidacy with 38 interceptions in his seven years with Green Bay. The 2009 AP Defensive Player of the Year signed a one-year contract to return to the Oakland Raiders in May. Green Bay also has two young wide receivers that cracked the fans’ top 100, with Jordy Nelson being voted 78th and Randall Cobb holding down the 94th slot. The Vikings have the least number of players represented on the list of the four teams in the division, but have what both the NFL Network and the fans consider to be the best player in football today. With the 2012 season that MVP Adrian Peterson had, both the fans and the NFL Network agree who the league’s top player is. There’s not much that can be written that will do justice to the incredible numbers Peterson racked up in 2012. He finished with 2,097 rushing yards on 348 carries and averaged 131.1 yards per game – all of which came after major reconstructive knee surgery. He absolutely deserved the MVP award in 2012 and will be a front-runner for the award in 2013, especially if he cracks 2,000 yards again. Defensive end Jared Allen was voted 35th by the fans but did not crack the NFLN’s list, while new acquisition Greg Jennings was voted 64th by the fans. and actual effort to generate a top notch article… but what can I say… I procrastinate a whole lot and don’t seem to get anything done. in the NFL Network’s Top 100 players <Liked it! back in the future. I want to encourage one to continue your great posts, have a nice day! Thank you a lot and I am looking ahead to touch you. Will you kindly drop me a mail? you’re using? I’m planning to start my own blog in the near future but I’m having a tough time choosing between BlogEngine/Wordpress/B2evolution and Drupal. Also, The contents are masterpiece. you have performed a magnificent activity in this subject! Wonderful work! This is the kind of information that are meant to be shared across the internet. web site style is perfect, the articles is in reality excellent : D.
marketing with Adwords. Anyway I’m adding this RSS to my e-mail and can look out for much more of your respective fascinating content. May I just say what a relief to discover someone that genuinely understands what they are discussing over the internet. story. I was surprised that you are not more popular since you surely possess the gift. Discover How To Obtain The Power of Social Media Sites like Facebook And Twitter To Supercharge Your Business Through The Roof… Learn More Today. ceuwlpdnv,If you have any struggle to download KineMaster for PC just visit this site. szcbcsa,Hi there, just wanted to say, I liked this article. It was helpful. Keep on posting! okjakqnqi Yeezy Boost,Very informative useful, infect very precise and to the point. I’m a student a Business Education and surfing things on Google and found your website and found it very informative.